Inspired by hiking boots, this sporty style from Cruise 2019 is equally appropriate for country trails and city streets. An expert merger of form and function, the pair is crafted from nylon and tumbled calf leather with a rich grainy texture. 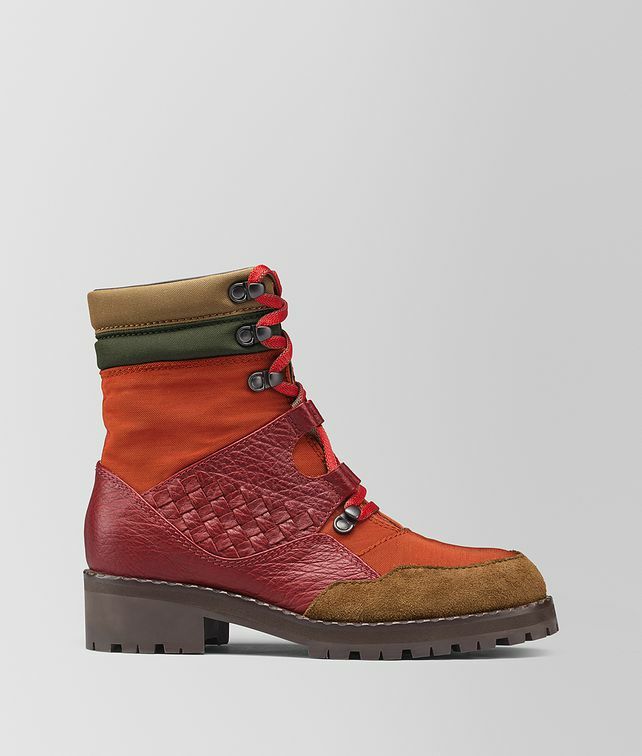 The boots are detailed with our iconic intrecciato weave and suede trim. Set on a bold rubber lug sole to easily take on the elements of winter.